Posted on July 21, 2018 by Mahak M.
“Mr. Holmes, they were the footprints of a gigantic hound!” With these ominous words begins one of the most celebrated murder mysteries of all time: The Hound of the Baskervilles, by Sir Arthur Conan Doyle. Powerful and prosperous, the Baskervilles had always enjoyed a pleasant life, until a horrifying event results in Sir Charles Baskerville dying mysteriously, and his heir, Sir Henry, left to tend for land rumored to be haunted by an enormous, ferocious hound!!! Naturally, such a extraordinary case can only be solved by an extraordinary detective, and one has to look no farther than Mr. Sherlock Holmes, the world’s only consulting detective. With his faithful companion Dr. Watson by his side, Holmes attempts to untangle the inexplicable circumstances surrounding the Baskerville household and the creepy Grimpen moor. Packed full of horror, fear, and a touch of dark humor, The Hound of the Baskervilles is an intriguing novella that even the most mystery-averse readers will find irresistible. 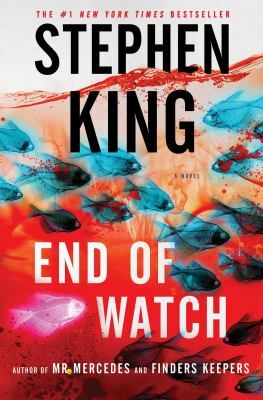 It has everything that makes a book timeless, with an unforgettable plot, fascinating characters, and a surprise ending that will startle even the most complacent of people. Any and all fans of Sherlock Holmes, mysteries, crime, adventure, or all of the above should most definitely check out The Hound of the Baskervilles this summer – you will not regret it! 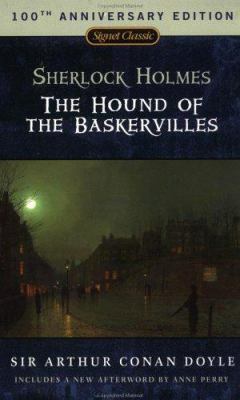 The Hound of the Baskervilles by Arthur Conan Doyle is available for checkout from the Mission Viejo Library.